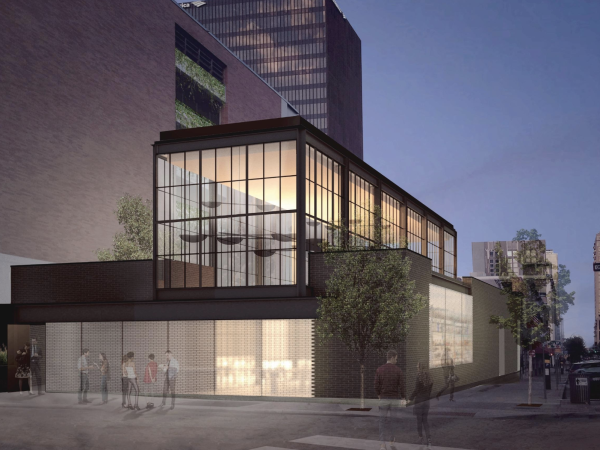 Unless you’ve sought out the best Brazilian food in Austin, you probably don’t know it’s tucked away on a little lot on East Seventh Street between a coffee shop and an architect’s office. 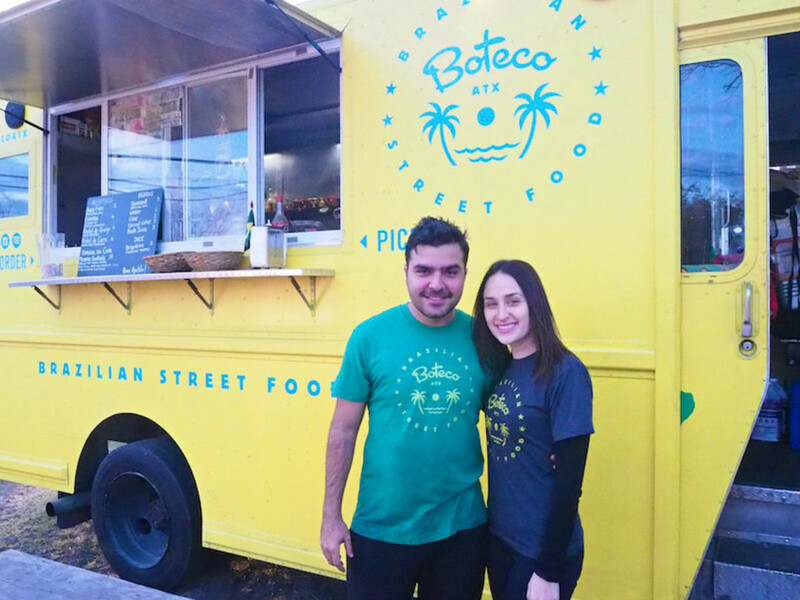 Boteco, housed in a former Fed Ex delivery truck that has been painted bright yellow and retrofitted into a mobile kitchen, serves authentic Brazilian street food. Owners (and spouses) Fernando and Lauren Marri have much to celebrate this month. In the past 365 days, people from all over the world have visited their truck — and they have a wall of international currency to prove it. 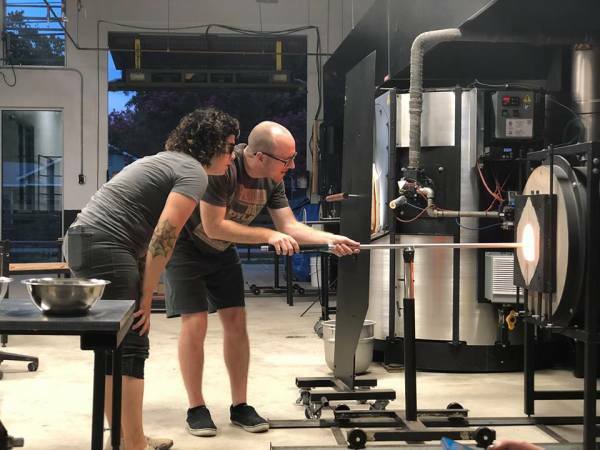 “It’s nice because we have such a diverse clientele, so you see all the Brazilian customers getting a taste of home and then the American customers just trying new things and loving it, so it’s a really cool experience on all ends,” says Lauren. 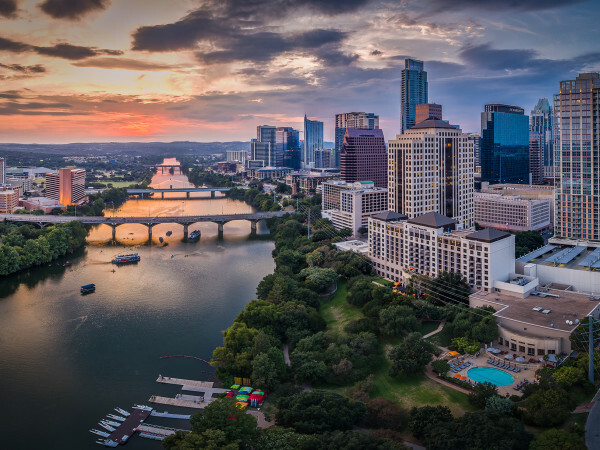 When the two moved to Austin from New York three years ago, they found themselves constantly connecting with other Brazilians or people with some type of connection to Brazil. 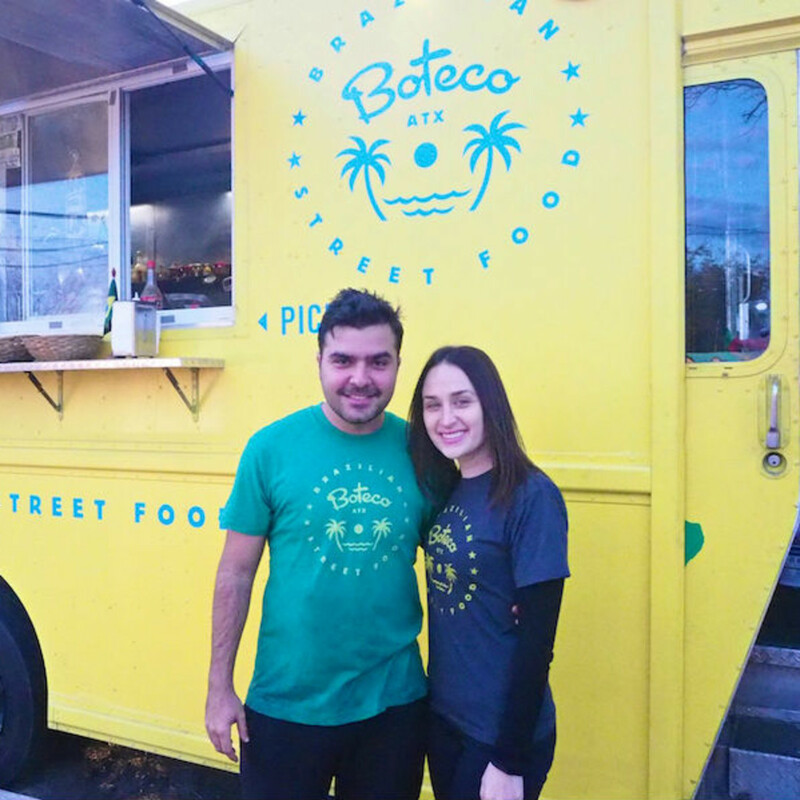 Fernando, who was working at Apple at the time, had a vision of a food truck serving authentic Brazilian cuisine done well. They began an IndieGogo campaign, which was met with a hugely supportive response from the community. “Everything has been organic from day one,” Fernando says proudly, which makes even more sense once you taste his food and learn that culinary talent is something that runs in his family. 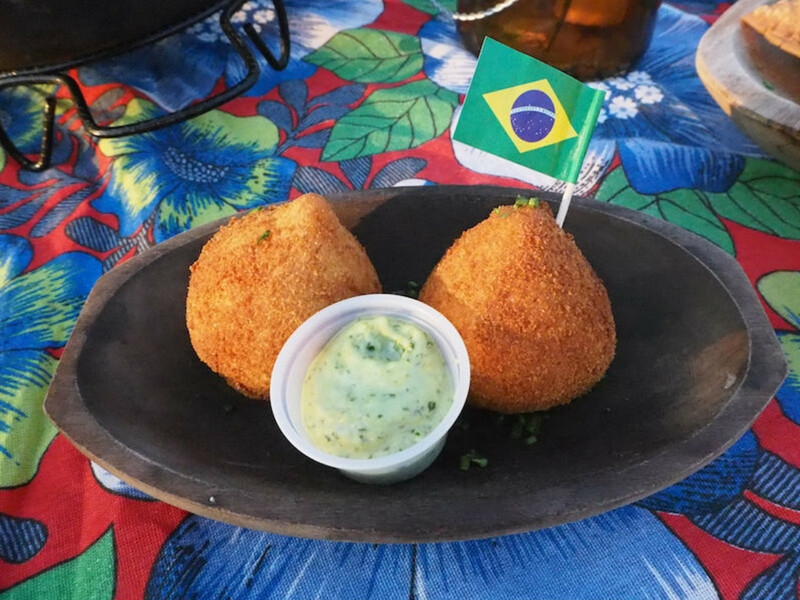 Before opening the trailer, Fernando’s mom visited from Brazil and helped develop every single recipe, including the croquette (coxinha) recipe, which has gotten rave reviews from every Brazilian who has tried it. Other signature dishes include moqueca baiana, a seafood stew served in a traditional black clay pot and offered as an occasional special. Silky coconut and cilantro broth is filled with fresh seafood, onions, peppers, tomatoes, then enhanced with a nutrient-rich dendê oil, a palm oil from Africa that completes the dish with its unique flavor profile. 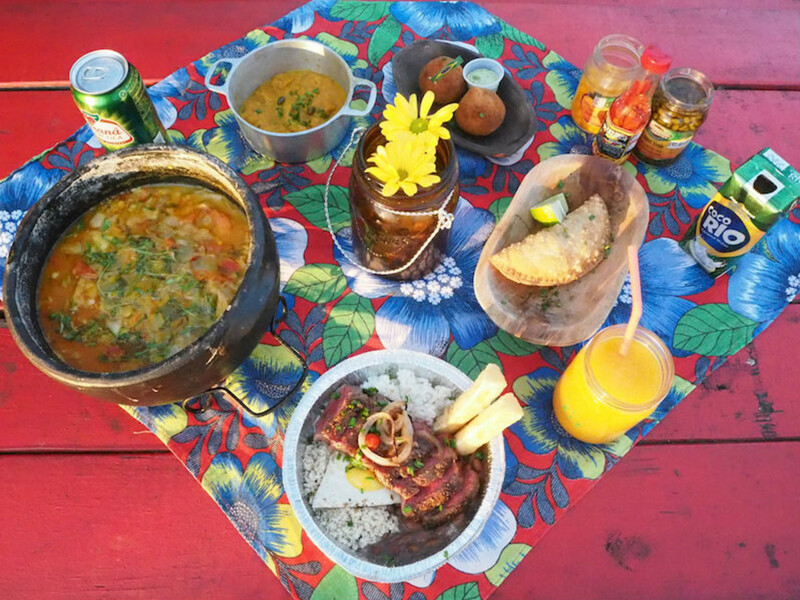 It’s served with rice and an earthy pirão made with yellow lentils and broth from the stew. 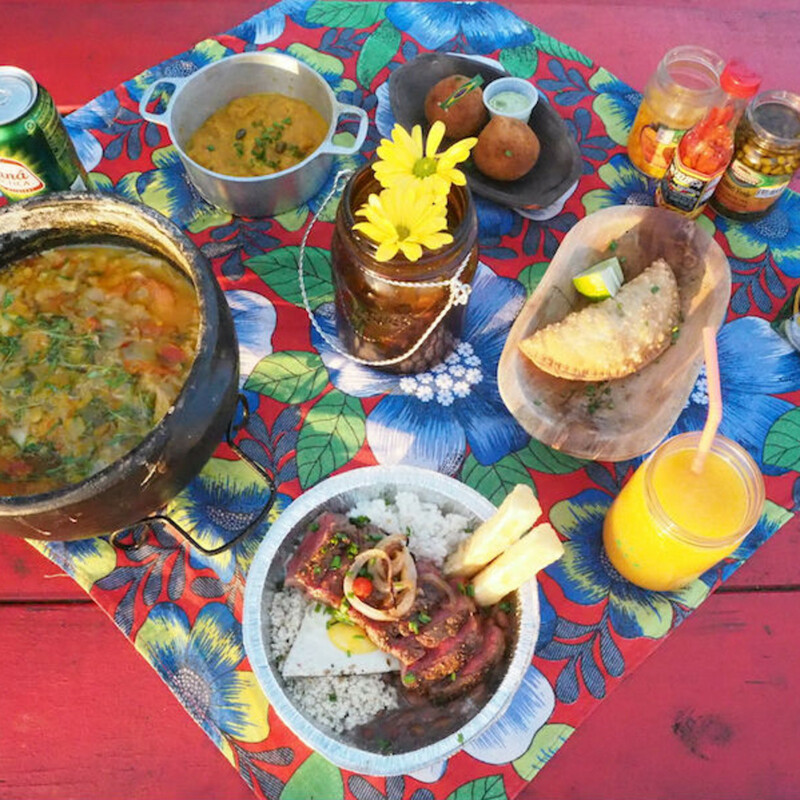 Each Sunday, they slow-cook a huge pot of feijoada, a traditional stew of beans simmered with meat (usually pork) for hours until they reach savory, flavorful perfection. 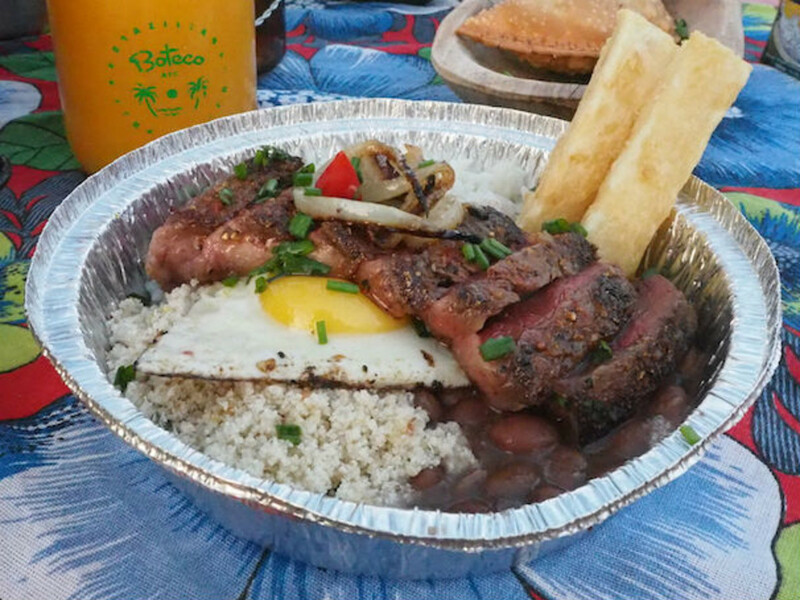 While hearty enough to stand on its own, those in the know order feijoada on Sundays with a dish called picanha grelhada. 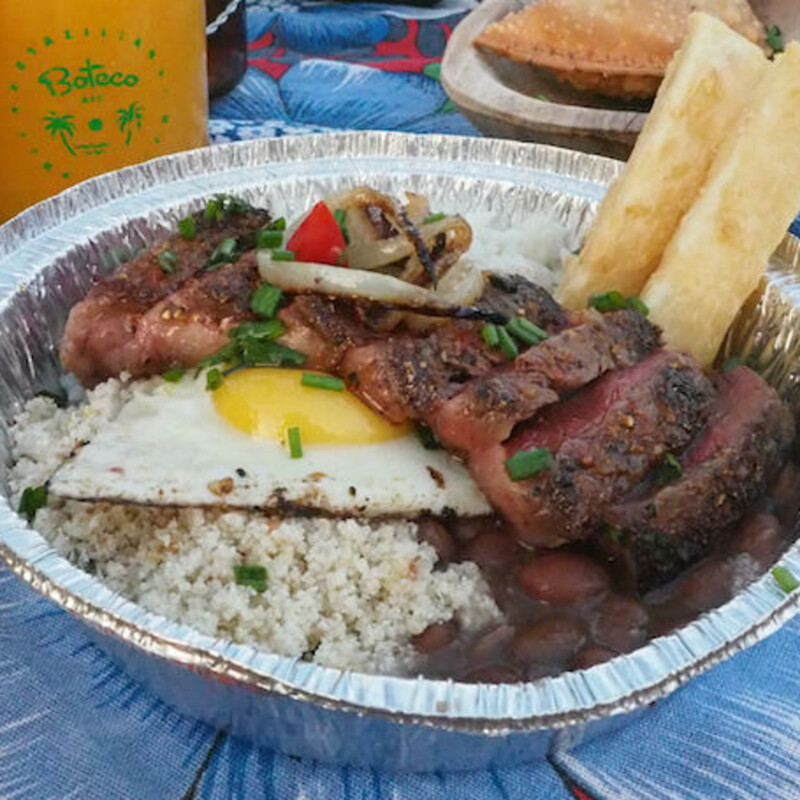 The slow-cooked beans are served with rice, caramelized onions, and farofa (toasted yuca flour), then topped with medium rare sirloin steak and a fried egg. Fernando sources seasonal produce locally, mostly from Springdale Farm, though certain necessary pantry items are only available from afar — yuca flour, coconut milk, and jars of malagueta pickled peppers that can spice up any meal. 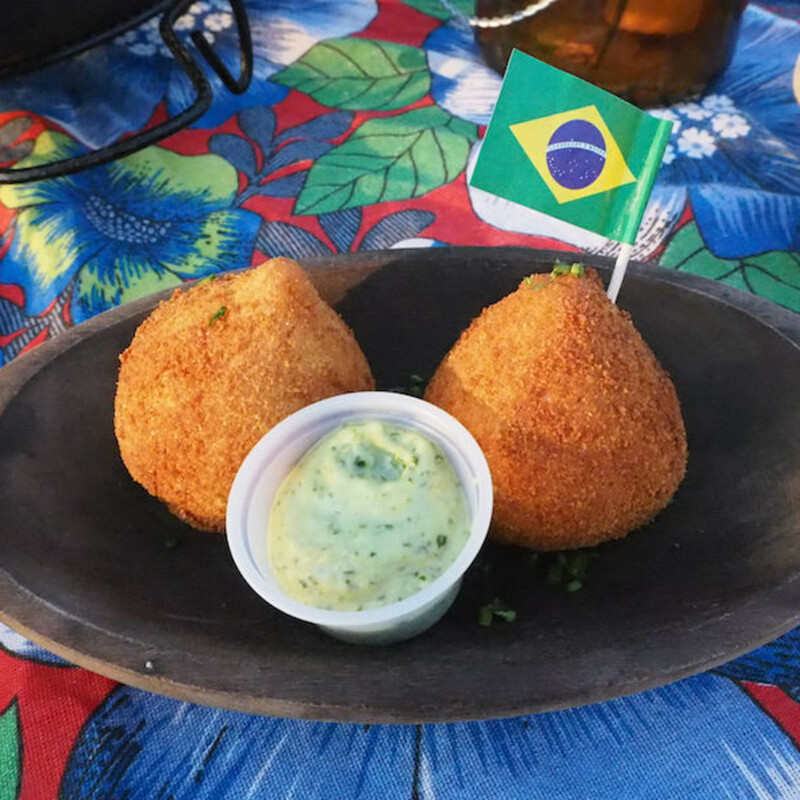 Appropriately, a boteco in Brazil is a local neighborhood hangout where friends meet up any day of the week for good food, drink and conversation. Fernando and Lauren have created such a spot in their tucked away space. Each bright red picnic table is covered in Brazilian chita fabric, and fresh flowers brighten the space. If there aren't live Brazilian performers playing when you visit, you can bet their Spotify playlist will be playing traditional styles of music like samba, bossa nova, and maracatu. And, since the space is BYOB, they encourage diners to mix up caipirinhas to accompany the dishes.